CONSTANT PULL STRINGING MACHINES DROP WEIGHT STRINGING MACHINES Take your stringing business to the next level. I am amazed at how many tennis shops still use outdated, inconsistent stringing equipment. Serious players at all levels expect more from their racket stringer and understand the importance of a consistent string job. If you have been thinking about a computerized machine than this article can give you some insight into some options at all price levels. 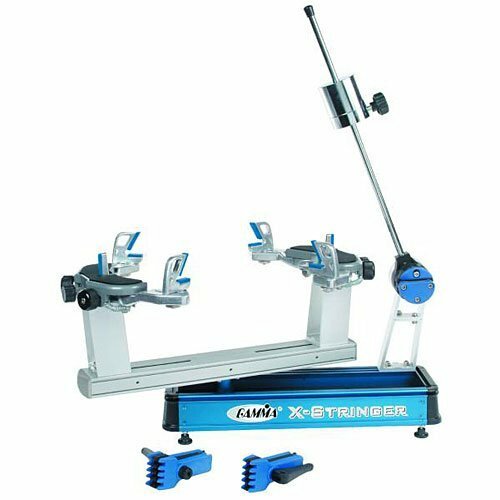 Professional tennis racket stringing machines have certain features and characteristics that are characteristic of a good machine. To read more follow the link here. Generally entry level machines will have 2-point and 4-point mounting systems, will consist of drop weight or maybe hand crank tensioning system. These machines will use the basic flying clamp or fixed clamps that may swivel or be stationary. These machines may come in table top or have a stand for upright stringing. 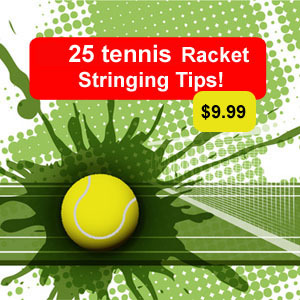 Generally they are designed for the individual interested in stringing his or her own rackets but are not usually designed for performance, consistency or professional grade stringing. I would consider this an entry level machine but it does have a 6 point mounting which is a big advantage and selling point here. This is a basic strip down model designed for the beginning stringer. I encourage you to look at a basic machine for under $200 when getting started especially if your not sure exactly how much you will actually be stringing. So for the entry level under $200 there are a few options available. The only one Made in the USA with an Unlimited Lifetime Guarantee and a 30-day money back guarantee. No assembly required. Includes complete tool kit along with a free string and grip package. Free shipping offer available at our website. Visit klipperusa.com for details. 360 degree rotation. Strings tennis, racquetball, badminton and squash. 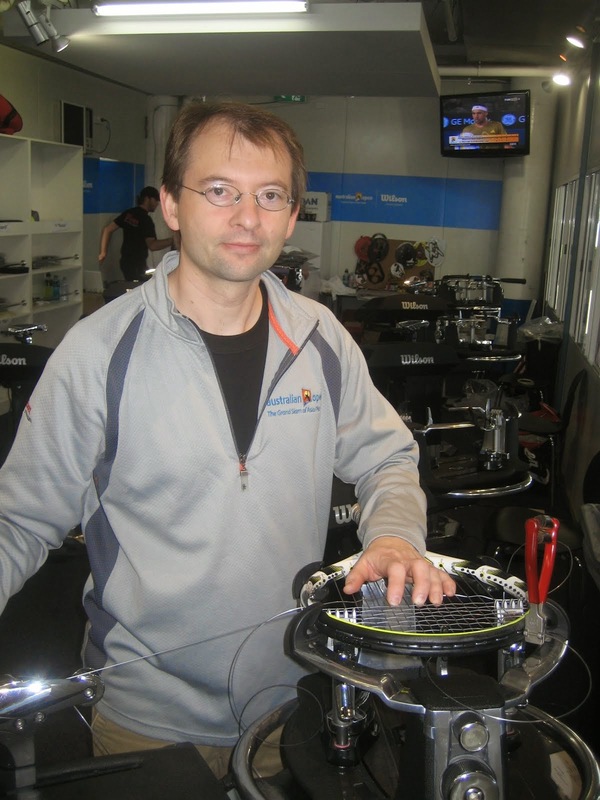 The Fact is that Professional Grade tennis racket stringing machines are responsible for the majority of racket stringing that happens at professional events around the globe! I have been to many tennis events and have seen the spectrum of machines being used. There are a few key machines that produce a consistent and professional product that are worth mentioning here. If you are possibly looking to upgrade your current equipment or just want to see what is being used than keep reading. Generally Babolat Sensors or Star 5 machines are used at tournaments, Yonex uses there top line for stringing Yonex players at events, Tecnifibre has a machine that is used around the globe at there sponsored events, Wilson Uses the Baiardo machine at the US OPEN, Australian Open, Miami and other events. Pacific has a machine that is also used at some global events. Some stringing teams use older Babolat star 4 machines at tournaments because they are more portable and very reliable. If it's good enough for Roger, its good enough for me!. The Babolat Sensor Dual stringing Machine is considered one of the top end Babolat stringing machines. When this machine first came around many of the shops and even tour stringing teams had switched from the Babolat Star 4 to use this upgraded machine. Some machines are better suited for travel and more reliable pull after pull, so I know that some went back to the old trustworth Babolat Star 4 machine. None the less this top level stringing machine has had some improvements and offers the performance you might want. Price around $5200.00. Here are a few product details as per Do It Tennis where you can purchase this machine. USED TENNIS MACHINES For used machines the go to place is TennisMachines.com They repair and sell tennis stringing machines.